It is vital for each member of the advisory team to understand the roles of the other members in meeting their client’s needs. Therefore, in this issue of The Wealth Counselor, we will focus on how the estate planning attorney uses the initial interview in a blended-family situation. Blended-family clients often require advanced planning strategies and products but are also likely to have relationship conflicts brewing that can complicate matters. Therefore, the attorney must have a counseling strategy that will obtain all the information needed to devise an effective financial or estate plan. Some of what the attorney does in these situations will sound familiar. Other things may not because they tie in to the uniquely confidential legal relationship that only exists between attorney and client or doctor and patient. As with all members of the team, the attorney needs an intake worksheet and meeting structure that elicits the information needed to design the client’s plan. Blended-family clients are likely to be reluctant to share the key information the attorney needs to design their financial or estate plan. They may even be reluctant to share key information about their goals with each other. The ability to establish a personal connection with the client is important for a successful interview process. Often the attorney will send the prospective clients an intake worksheet to complete and return before their first meeting. identifies the participants so he can run a conflicts check to ensure the ethics requirements are met and the attorney can represent them. sees the context of the relationships and spots potential issues. obtain the names and contact information for the other professionals comprising the couple’s financial-planning team. 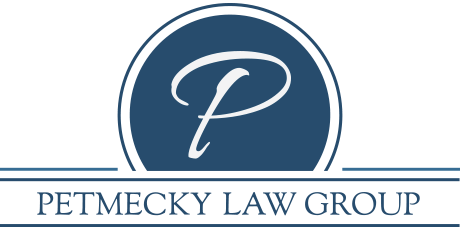 At the beginning of the first planning meeting, the attorney or a staff member may review the intake worksheet with the clients and address any gaps or confusion. In so doing, the attorney or staff member gains insight into the family’s dynamics. A well-designed pre-interview procedure maximizes time spent with the prospective clients in the initial meeting and increase the probability of being engaged for estate planning. The smart advisor who is going to be at the initial planning meeting will prepare their clients for that conversation and assure them that it is OK and no offense will be taken if their clients need or want to have a protected conversation with the attorney. For any family, finances and guardianship are difficult topics to discuss. Add to this the complexities of a blended family’s dynamics and you have a conversational black hole. As Florida attorney and CPA Merrell Bailey points out, the attorney has to get people to talk about things they may have thought about, but never said out loud—especially to a stranger. Rapport is essential to obtaining the information the attorney will need to create an effective plan for a blended family. What if the attorney just can’t get the prospective clients to share the information he or she needs? It happens. Martha answers this way: “It’s not our job to force that. It’s our job to create a space that’s safe our client to let the shadows out.” Martha will ask a client who is reluctant to answer a question, “Why don’t you want me to know?” She pauses to let them feel the discomfort and then lets them know it’s OK to feel uncomfortable, again attempting to “normalize” the situation. But she accepts that she’s not going to resonate with everyone. Knowing when to dig deeper and when to stop is key to her counseling strategy. She’s found that some prospective clients who decide they’re not ready to work with her at that time do come back later on. Designing an appropriate plan for your clients requires details from their personal relationships they may be uncomfortable divulging to the attorney. The effective communicator will use an active-listening technique: synthesize, evaluate, and summarize the information the prospective clients share. Repeat back your understanding. If your summary isn’t correct or if the information leads you to additional questions, drill down further. Repeat the process until the prospective clients agree with your summary and you have all the information you need to proceed to plan design. Idaho attorney John St. Clair is a firm believer that listening to—not just hearing—the prospective clients is the key to helping clients in blended families. As the effective attorney proceeds through the meeting, she is watching how the clients respond to her questions and comments (i.e., non-verbal clues) and they respond to each other. The initial planning meeting may reveal imbalances of age, health, power, or wealth; all imbalances between a blended-family couple warrant the attorney’s full attention. Any imbalances—and the couple’s desire to manage them—will play a key role in the planning strategy. Some people are visual learners. You can explain things five times and reach some modicum of understanding. Or you can draw and write as you go and reach consensus much sooner. As the attorney works to build rapport, giving your clients something to look at besides him “gives them some privacy” during the meeting. Merrell Bailey recognizes this technique as an essential tactic in her counseling strategy. At the end of the meeting, the attorney will have produced an outline to work with as she drafts her meeting notes. The effective attorney will be sure to practice diagramming skills. Also, he will have the needed materials on hand, such as a white board or clean sheets of paper for each diagram and different colored pens. The attorney who incorporates note-taking into her counseling strategy must be comfortable using the technology and must be sure clients are comfortable with it, too. Pen or stylus, the attorney must be careful about keeping the focus on the clients and not on the note-taking or drawing process. If your clients are engaged in the meeting on several levels, the attorney will have a higher likelihood of achieving the information-gathering objectives efficiently and effectively, and your clients will have a better understanding of the planning process. The effective attorney will also make sure to have the clients schedule their next appointment on their way out to keep the process in motion. Review and finalize notes. Sooner is better than later. If anyone in the meeting created diagrams or notes, be sure to make copies—one for the file and one to send with or to the clients. Diagrams and thorough notes help with complex family structures and relationships when the plan-design process begins. Review your own intake interview worksheet to ensure you’re getting the information you need to run an effective initial meeting. If you don’t have an intake interview worksheet, consider adding this step to your client-counseling process. Be an empathetic and active listener. Learn all you can from your interactions with your clients and be alert for clues that indicate further exploration of an issue is necessary.